Glympse is a new application discovered for location sharing. 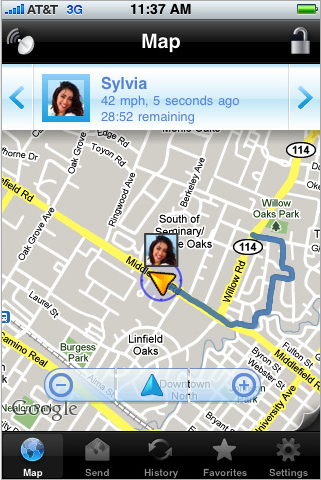 This application is used for the first time with Ford cars.This app uses the technology of GPS and Google maps. Its a free App. The car automatically recognizes the app when the phone is connected through USB or Bluetooth. On the steering wheel we can find SYNC voice button. 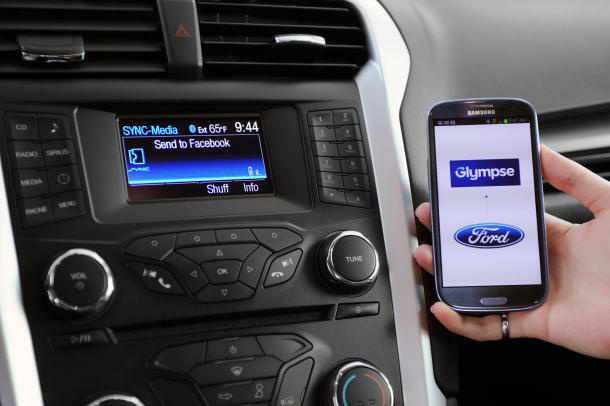 When the phone is connected to the car, we need to press the button and say,"Send Glmpse". We can specify the persons who can track our location. We can also set the time until which the persons can track the location. When the button is pressed and "Send Glympse" is said, the persons in the list will get a link via text message, email, Facebook and twitter which tracks our location. The maximum time of 4hours, the location can be tracked. We can disable it whenever necessary. We don't want to make a call or send a message, about the location where we are, at the time of driving. Moreover the persons can predict the estimated time left for reaching the destination. Its really a great app which must be experienced by everyone. Experience it and share your views over here.